Wondercide offers a 3-step natural flea control solution that’s easy and effective for removing fleas from pets, people, and property. If you’re looking to avoid all of the conventional pesticides while still effectively killing all the fleas, then don’t use spot-drop treatments on your pets! Conventional solutions like spot-drop treatments can have numerous harmful effects to the pets you love. This includes skin allergies, diarrhea, seizures, and more. Then, when you play with your pet, those same conventional pesticides get onto you, making you susceptible to the effects that these conventional pesticides can have on people, such as neurological disorders like ADHD or Parkinson’s. In addition, most spot-drop treatments only kill the adult fleas. The adult fleas are only a fraction of the problem, however. All of the different life cycle stages of the flea, like the eggs and pupae, are still alive and around your pet waiting to hatch. Your problem will continue because you haven’t treated nearly all of the problem. This is where Flea & Tick Control Pets + Home comes in. The cedar in the product kills fleas on contact, including all life cycle stages, and it works as a repellent for fleas. This keeps the fleas away from your pet before they ever reach them. Without the conventional pesticides, you’re without the health risks to you and your pet. To both keep the fleas away from your family and to repel mosquitoes, you can use natural Personal Insect Repellent that is also cedar-based, instead of the common DEET solutions. Just get into the routine of protecting both your pets and your family members from those pesky pests every time you’ll be exposed! Everywhere your pet goes, the fleas, eggs, larvae, pupae can go with it! They will then fall off your pet and wait to hatch. So you need a way to remove all of the life-cycle from your home, and many people do this by calling the pest control company. When you’re getting ready to have the pest control company come spray your home, the biggest concern is scheduling your time around when they are coming and how long you need to be away from your home. Many people are also surprised to find out that the products most pest control companies are spraying are also highly toxic. Wouldn’t it be nice to just do it all on your own terms? Well, you can with do-it-yourself solutions. Many of the home remedies, however, are usually impractical and ineffective at doing the job. 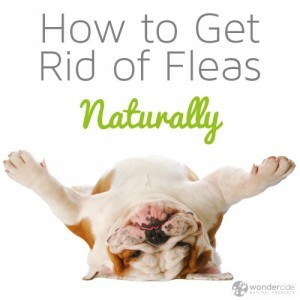 This step helps you get rid of fleas at the SOURCE: infestations begin outdoors. For most people, this is the hardest part of the flea control solution because the outdoors is where pests live, after all! What you need is something strong enough to remove all of the pests without resorting to a conventional pesticide that can cause harm to the health of you and your pet. Many conventional pesticide-based solutions have been known to cause health problems, from allergic reactions, to neurological disorders and even death. Luckily, there is an alternative: Flea & Tick Control Yard + Garden (or EcoTreat Outdoor Pest Control Outdoor Pest Control Concentrate)! It’s is a powerful and natural alternative to conventional pesticides that’s so safe, pets and kids can even play in the yard while you are spraying. The solution poses no risk of harming beneficial bugs like butterflies that make yards so beautiful. 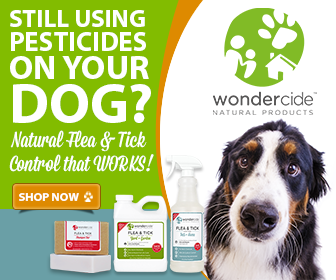 Wondercide consistently receives 5-star ratings, with customers raving about how great it works in controlling fleas. Want to learn more? Check out what people have been saying. is this guaranteed to do the job? Wondercide Pest Control Products are proven by 3rd party, independent labs to be the safest and most effective “Do It Yourself” products on the market. Because every environment, origin of pest problem, and severity of issue can vary, we follow the industry standard on Guarantees. 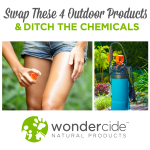 We Guarantee Wondercide products perform as advertised, and as evidenced by hundreds of customer reviews, but we aren’t able to offer a money back on opened or used products. If you are having an issue with our product performing in your instance, we may need to help you with a more one-on-one consultation to help you get your circumstance under control so that all you will need in the future is regular maintenance. why don’t we have this in vancouver washington or camas wa.98607 ? We ship all over the world from our website. But we also distribute our product to a variety of local shops around the country that carry Pet Products. Especially Pet Boutiques, Groomers, Boarding, etc. If you have a favorite Pet Store or Service in your area that could benefit by carrying our products give them our information we’d love to talk to them. You can use our flea spray as soon as you want to use it. This is a natural and non-toxic solution so you don’t have to worry about causing complications with mixing. Don’t forget the most effective solution is controlling your environment. Look at spraying your immediate yard as well as your house to control the pests. I have a feral cat that is inside and is fairly tame. However, at the first hint of a spray, he disappears like a race horse. What is best way to get it on him? Spray in hands and then rub on him? How to get down to the skin? Will it harm the pH of his skin? Bought some flea shampoo but am terrified to use it. He’s not that tame. All comments about the Wondercide sound great. If he is now an indoor cat, then the best thing you can do is to control the environment. You need to prevent any fleas from surviving around your home. Next your best plan is to just spray your hands and rub on him. Try to be as thorough as possible. It won’t harm the pH of his skin, however too much on his hair when he isn’t used to it can prompt him to lick it off and become upset. Just like hand lotion might be good for your skin, it doesn’t settle your stomach in your belly. So start light and build up as the cat gets use to it. Again always make sure to keep any potential issues in the home under control with our home sprays. I sprayed the flea comb and then combed my cat, she loves to be brushed. Hey Mitch, we are happy to help. Please call us at 877-896-7426 so we can discuss your specific problem and recommend a treatment solution just for you! I have 2 med size dogs. I have tried everything and nothing seems to get rid of the fleas or ticks. I would love to try this product, but we have little income. After paying the mortgage and other bills, we can hardly afford anything. Is there still a possibility to get this for home pets and 1a yard? Thanks so much for your question and your interest in Wondercide. Our goal is the same – for you to be flea and tick free! We’d love to chat with you some more to learn some additional details about your specific needs so we can help find the best solution for you! We do have some promotions going on currently, so hopefully those will help. When you have a free moment, please give our PAWSitive Experience Team a call at 877-896-7426 and anyone will be glad to assist! We look forward to helping you soon. I just received my order of Wondercide and have been spraying some areas and getting some on the cats. The smell is strong. It is not harmful. is it? Wondercide Flea & Tick Control for Pets + Home (formerly Evolv) is formulated to be safe for use both around the house and directly on cats & dogs, so that’s just fine if some got on the cats! We only use human-food-grade ingredients in our spray and there are no harsh chemicals. Feel free to email the PAWSitive Experience Team at service@wondercide.com if you have any further questions. My wife and I recently adopted a new puppy, but we weren’t prepared for the fleas that came with him! The puppy is always itching himself, and the fleas have even started to bit my wife and me! I’m happy that I was able to find your article because we’re tired of having to deal with these pests! I liked that you mentioned how there is a safe, chemical-free option that we could use in our home. Apart from the puppy, we also have a very young child, so this kind of treatment would be perfect for us. I’m going to start looking for a company in my area that offers a chemical free flea control! Thank you for the information! Glad you heard about Wondercide! Feel free to check out our store locator to find the closest retailer to you! And have a happy New Year! How frequently do you have to apply the product? How does the cost and duration compare with something like Frontline? We generally recommend applying the product every 2-3 days and on outings like walks or the park for routine prevention, but it depends on your local area and pest pressure. Try starting with every 2-3 days and adjust accordingly. In the middle of the summer, for instance, some people may apply the product daily while in the winter it may be possible to go weeks without applying. Because you only need ONE product for dogs, cats, and homes, and you don’t need to buy different products for different sized pets, it actually comes out much cheaper than the conventional chemical solutions. If you have any other questions, please contact our PAWSitive Experience Team at 877-896-7426 or visit our website to live chat or email them! Hi; I just bought Wondercide Flea &Tick for Pets and Home for my 2 Chihuahuas. Where I live there are running trails, grass, and a park close to my apartment, and every summer there is a problem with fleas in my area. I tried Frontline and pills don’t even help! I read the instructions to apply every time I take them for a walk, and I add more when I come back from a walk. They seem to keep scratching when the fleas bite them, but I found some dead within hours…how often you recommend to put the treatment on the pets? Also, for inside and outside, what is the difference between the Wondercide Home and Garden Insect Control (have that one) and the Wondercide Flea & Tick Yard, or Wondercide Indoor? little confused trying to prevent fleas inside and outside my patio. Hi Estela, we recommend spraying your pets 2-3 times per week with Flea & Tick Pets + Home. If you are having a flea issue currently, you should also treat your home with Flea & Tick Pets + Home and your yard with Flea & Tick Yard + Garden to eliminate the problem from the environment. It’s best to apply Pets + Home with a compression sprayer or fogger to efficiently knock out the problem. 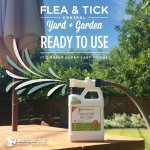 If you live in an apartment without a yard, you will only need Flea & Tick Pets + Home. Yard + Garden is a plant-safe solution used for lawns, gardens, and other outdoor spaces, whereas Pets + Home kills fleas & ticks on contact but can’t be used on plants. My experience is the same as many..Frontline always worked in the past, but now, not so much. I feel it’s a blessing in disguise. It forced me to try something else. I turned to the vet..of course. They sold me on the Nexgard pill which the pet ingests once a month. My 11 yr old Lab, Molly vomited, became lethargic and lost interest in food. Our 10 month old English Springer Spaniel, Scout didn’t show much of an adverse effect, but the bottom line is…THEY WERE BOTH STILL SCRATCHING AND SO WAS I from the fleas!!! When it came time to give them another dose in four weeks, I simply couldn’t!!! Thank goodness for your website. I was so excited when I read the information on your website because it all made sense. The cedar being a natural repellent, it was like “greetings pilgrim! my search has ended.” I had to read and re-read the information because there is so much to learn. Only because it’s all so foreign. It was different from popping a pill or running a liquid down their back. I needed to purchase a compression sprayer as well as the Pre-Mix Hose End Sprayer to use outdoors, which I was relieved I could order everything on your website. I have been using the Pets & Home spray on Molly & Scout and let me just say yes, the smell seemed strong, but it dissipates in a little bit. NOW I love the smell because it’s the sweet smell of success and NO FLEAS!!!! It has also made me brush the two of them faithfully every day which they love and so do I because it’s just plain fun. I then squirt their top legs, under their necks and give them a quick massage and then I spray a little on my hands and rub their faces and bellies and I give them a little massage. Spending those few minutes with them is something we look forward to now. I also spray a little on the furminator brush so as to kill any fleas that I’m brushing off. We live by the beach and there are many sand fleas. In the winter it will be much less intense with the fleas. The results are amazing and their coats are beautiful. I feel so good about them using something natural. I am relieved that there is an alternative to chemicals that are harmful to us all. I just want to say a couple of things that are frustrating. I don’t know if it’s because it’s almost summer, but many products I tried to order on your website were unavailable. I had to order from Amazon and ordering from Amazon resulted in getting the products to me quicker. It’s a challenge to have someone answer the phone at Wondercide, but I’ll say this, that although it may not be the same day, you most assuredly did return my call. The customer representative was very helpful and reassuring. That was BEFORE I received the product. Now I feel confident and good about eliminating another harmful chemical from our home. Thank you, WONDERCIDE!!!!! Keep up the good work! Thank you so much for the kinds words, Janice! And thank you for your patience while our headquarters were very bust after our Shark Tank debut. We truly appreciate having you as a customer! I started using the Wondercide flea & tick pet spray last year. We had just moved into a new home with surrounding woods. Of course my cat ,Taylor, & dog, Pablo love running and playing outside but I was taken aback on how many fleas they had AND found several ticks on each. I tried those chemicals that you put on the animals neck and back but that just made my cat look like he walked into an oil slick not to mention he then likes it off and has a terrible chemical smell. That can’t be good for them. I looked for natural flea and tick replant on the Internet and found your company. I bought the smallest size bottle of Wondercide in case it didn’t work. Let’s just say it works like a champ and I have enough to use on them for this Tennessee summer. I do wish there was a pill form though, like garlic to vampires! I have indoor/outdoor carpet on a screened in porch were fleas are a constant problem and I was considering mixing some of the yard and garden concentrate into my carpet steamer to kill the eggs and other stages that might be deep in the carpet. Is there any reason you might recommend against this? Thanks so much for your question! We haven’t tested the product this way, so we would not recommend application in this manner. The great news, however, is our Flea & Tick Control Pets + Home may be safely sprayed on carpets as it is non-staining. We hope this helps! My mother just adopted two rescue cats and is having trouble getting the fleas off even with a solution from the vet. How often will she have to spray the cats? Since she is 80 years old, I’m trying to make things easy for her. We so appreciate you reaching out in regards to our Flea and Tick Pets and Home product. Please thank your mother for rescuing those sweet kitties! I recommend using our original plain cedar fragrance of our Flea and Tick Pets and Home formula for use on cats and in their environment, as they tend to be more sensitive by nature and this formula has the fewest ingredients. If your mother’s cats are indoor only, I would recommend that she applies the product to her cats every 2-3 days in conjunction with also spraying their bedding and any furniture or carpeting they may frequent on a weekly basis to kill fleas in all life stages that may be living in her indoor environment. If her cats are indoor and outdoor, we would recommend treating them on a daily basis to ensure the most effective protection against fleas, as the strong cedar scent plays a pivotal role in repelling fleas. Our feline friends are more sensitive by nature, so we strongly recommend testing a small amount of product on your cat before a full treatment. We suggest the 4oz size of Pets + Home for proper application on cats. Because a flea on your cat means there are fleas in your cat’s environment, it’s best to take a holistic approach by treating your home and/or yard for fleas to prevent them from finding your cat. If your cat is fearful of spray bottles, you can spray into your hands and massage onto your cat. I hope this helps, but please let us know if you have any additional questions! I just received my bottle of Wondercide, and I can’t believe how quickly it kills adult fleas. I have 2 questions though…. 1. Is the scent (I bought the lemongrass) as strong as it is to mask the intensity of the cedar oil? 2. Does Wondercide prevent flea PUPAE from hatching into adults? Your website says ALL life stages, so I’m assuming this includes the pupae, but from all the reading I’ve done, the general consensus is that the cocoon which protects this particular life stage is impenetrable to heat, water, and even chemicals. We’ve been dealing with a bad infestation, and I have treated my apartment with a borate powder, but weeks later, I’m still finding fleas daily, which probably means there are still many pupae waiting to hatch. Thank you for your comment! We’re glad to hear you are having great success with your Wondercide products. Keep it up! 1. We offer Flea & Tick for Pets + Home in a variety of scents. Each one is unique to appeal to different tastes and preferences and offer choices beyond original Cedar. If the Lemongrass wasn’t your favorite, we recommend trying Flea & Tick for Pets + Home in Fresh Cedar or Flea & Tick for Pets + Home in Fresh Rosemary. Many customers find them to be milder than Lemongrass. Wondercide products kill the following life stages: eggs, larvae and adult. Fleas during the pupae life stage are definitely very difficult to kill. That said, with continued use of your Wondercide, we’re confident you’ll get rid of all those fleas in no time. 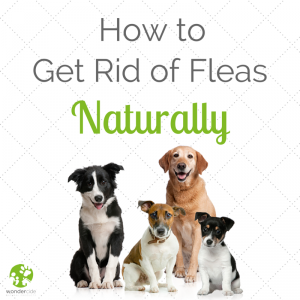 It can be used as needed, so feel free to treat on a daily basis to eliminate fleas as they hatch from their pupae stage. Regards!